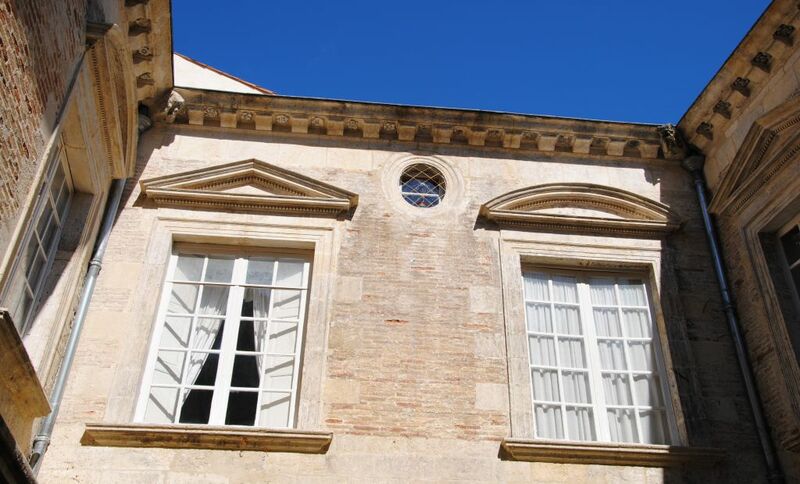 Hôtel de Bernis is one of the oldest and finest mansions in Nîmes. The fifteenth century Gothic facade has fine mullioned windows. The seventeenth century courtyard is remarkable. The ground floor barrel vault housed a shop in the Middle Ages. The charming inner courtyard was inspired by the arena, with arches in which a well is set. The courtyard facades were reworked during the reign of Louis XIII in the style of the Temple of Diana.